In an era of Industry Renaissance, collective intelligence makes the impossible possible. We look forward to meet you at a unique event, a networking opportunity to interact with experts and leaders of digitizing. Something really big is happening today in the Industry. Who could anticipate that start-ups would compete with time-honored multinational firms? Just consider what customers like Tesla, Joby Aviation, or CAD Makers do. They don’t want to make a lighter car or a faster plane or a higher building. No, they’re creating never seen before products and services to improve our lives. In this century, people value experience. Experience is the connection between product, nature and life – in other words the who, what and how of what customers do. PRODUCT is HOW it works; NATURE is WHAT it is made of ; and LIFE is WHOM it serves. Today’s Industry Renaissance is a Renaissance by experience. It’s larger than digital technology or automation. It’s about knowledge and know-how. The Industry Renaissance is all about experience. Experience is about connecting the dots. And connecting the dots is possible only with the 3DEXPERIENCE platform. Online platforms and marketplaces have transformed retail, transportation and hospitality services. 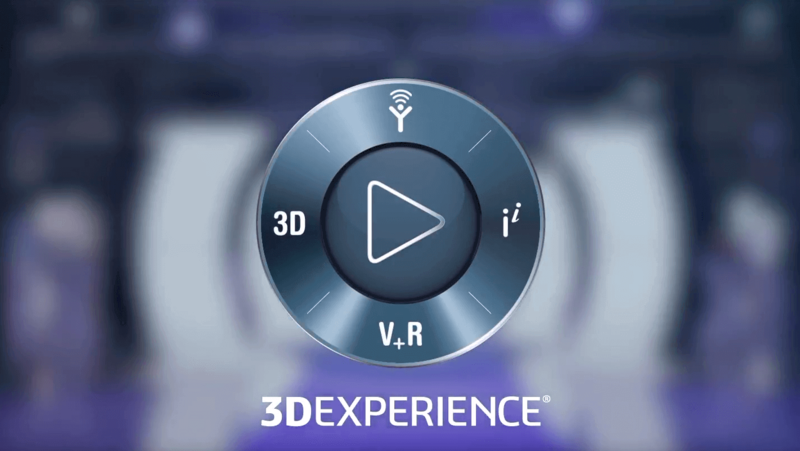 Get ready—the industrial world is next.” My ambition is that the biggest dreams in the world may be made possible on Dassault Systèmes 3DEXPERIENCE platform. We are building the future workforce to allow business and people innovate and make things in a more sustainable way.